Tis the season for family, gathering together, giving and receiving, but today - it’s all about the giving! Since 2012, Giving Tuesday has followed popular shopping days such as Black Friday and Cyber Monday as a way to encourage people to give back to their communities. Fueled by social media, it provides a platform for them to encourage the donation of time, resources and talents to address local challenges. It also brings together the collective power of a unique blend of partners— nonprofits, civic organizations, businesses and corporations, as well as families and individuals—to encourage and amplify small acts of kindness (Read more here). 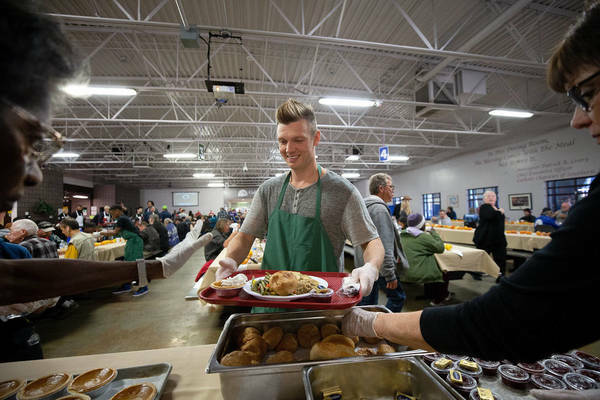 It’s no secret that Nick Carter has always been big on giving back to his local community, whether it be the work that he did to preserve the oceans in Florida years back to serving Thanksgiving meals to the homeless in Las Vegas this past week. While we encourage you to donate your time and / or resources to your local community (or something as simple as doing something for a friend), the following is a list of charitable organizations that Nick has worked with recently that are great ones to donate to as well! Most of them also have “chapters” across the U.S. so click and take a look at which charity is one that resonates most with you. Please remember that these organizations are working hard for different causes all year long and while you may not have the time or resources now, keep them in mind at other times as it is never a bad time to give back for a brighter future! Have a favorite organization? Feel free to share in the comments. Happy Giving! Nick is really an amazing human being and a big heart! Even reading this made me emotional! I'm considering doing something for a charity, too! It feels so good to see people happy! I’m so proud of you Nick, I feel like you've become a better man with every passing day! God bless you and your family always! I will always be your fan number 1 ,and you know how much i love you . ?????? You are a very kind-hearted, caring man Nick. Always have been, always will be. Never let anyone steal your light. In the future, if your're looking for another great non-profit organization to support, Hospice , is am amazing! I just lost my mom (she loved you, your music, & dancing w/stars), and I promise you, we would of never made it through without them, and I got to make her final wish come true bc of them. Thank Nick! See you soon on tour!! !